Mead is an amazing alcoholic beverage that has held a special place in many cultures throughout history; in fact, pottery has been found containing traces of its ingredients from nearly 10,000 years ago! 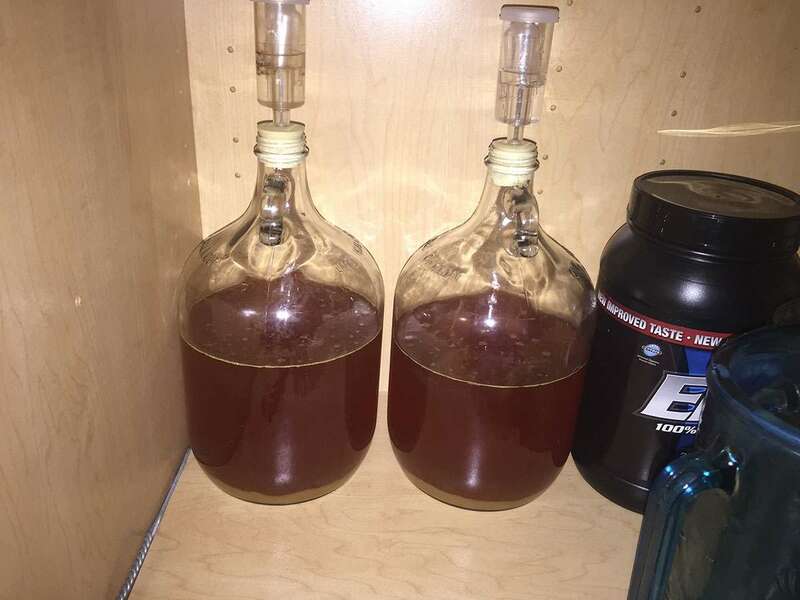 Mead is delicious and easy to brew. 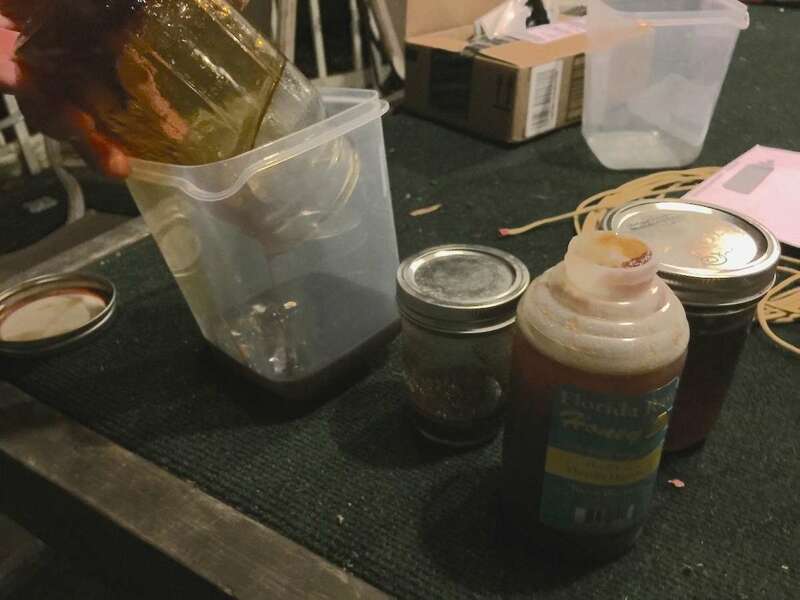 Anyways, my buddies and I thought it would be a great idea to brew some from the many jars of honey that have been collecting in my pantry over the years (don't ask). I apologize in advance for the terrible photos; this was done at night, and outside. You can pick you mead yeast spores at any local brewing supply store; different types of yeast that can be used to create different kinds of mead. In the refrigerated packaging, your yeast spores are in an inactive state -- usually, the pouch contains a second, smaller, pouch that has a release agent that will react with and awaken the spores. Because the activation process can vary by manufacturer, follow the directions on the packaging and give ample time for the pouch to expand. In my case, this involved violently smacking the pouch once to break an internal pouch that contains a release agent. Then, I gently squeezed the pouch to make sure the contents had mixed thoroughly and let it sit for 3 hours to expand. I didn't count the 3 hours towards the total guide time since I didn't have to do anything during that time except watch television and drink beer. Pour your honey into a lightweight container and weigh it. You'll need 3.5 pounds of honey for each gallon of mead. I used a bathroom scale with and without holding the honey and used the difference to inaccurately and unscientifically determine its weight. I had a little over 3.5 pounds of honey, so I'll be making a gallon. Use a food scale if you have one. You'll need to sanitize everything that will come in contact with your brewing solution. 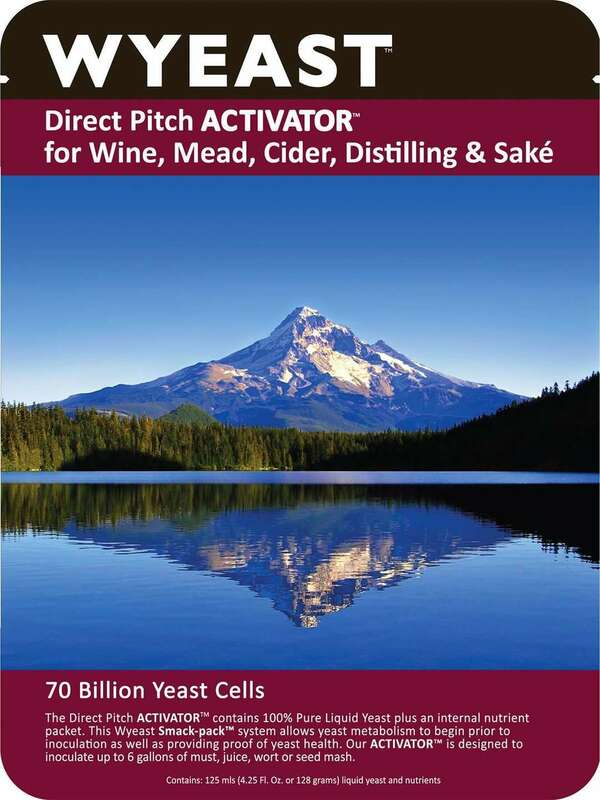 (Bad) bacteria can destroy your yeast and, thus, your brew (and sanity). Again, follow the instructions on the sanitizing solution packaging as this can vary greatly by manufacturer; I used a super concentrated type that only takes 3 minutes to sanitize. 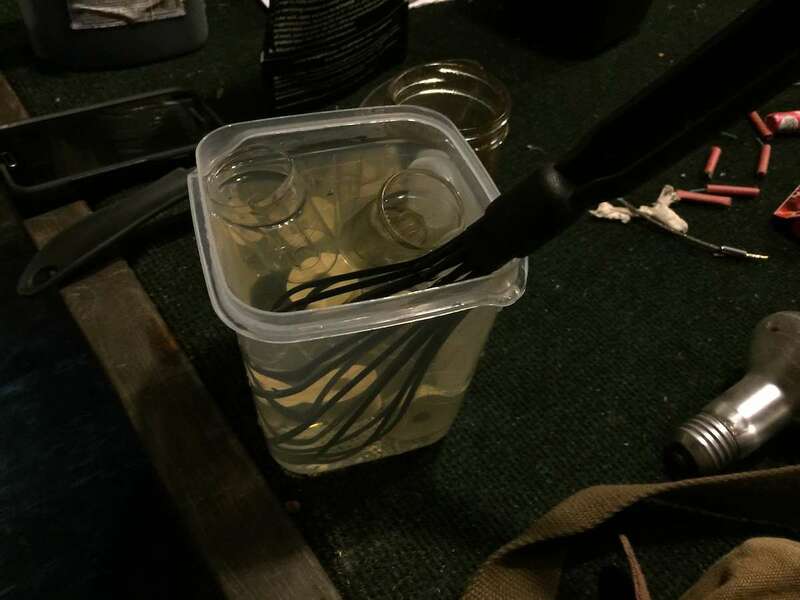 Sanitize your pot, tools, airlocks, storage bottles, hands, and lastly, your yeast packet. The "must" is a mixture of honey and water: the solution that you will add your yeast to. If you use clean drinking water, there's no need to boil since honey is naturally antibacterial. Mix your honey well with the appropriate amount of clean water (approximately 1 gallon of water for every 3.5 pounds of honey). 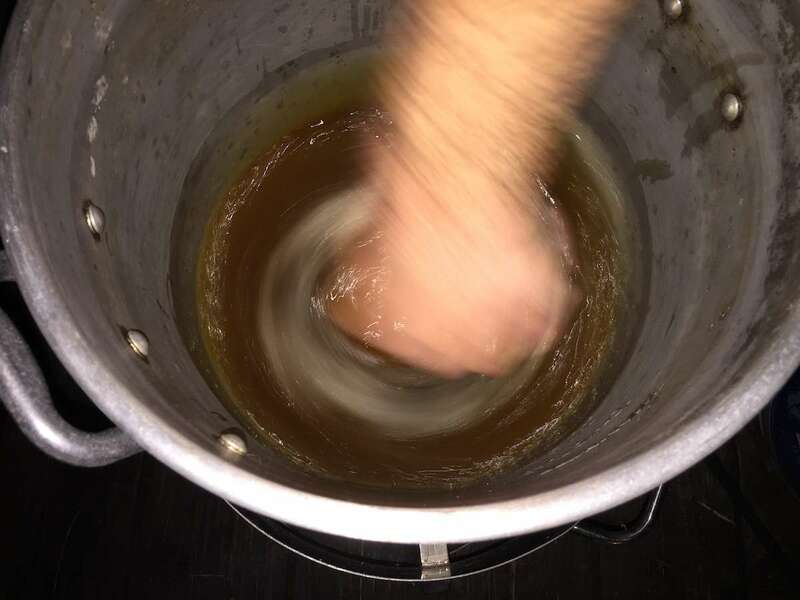 I used a turkey boiler to heat the honey up slightly to make it easier to mix, but this is only because some of the honey had solidified years ago. You can also use a pot on your stove, but you do not need to boil the honey. 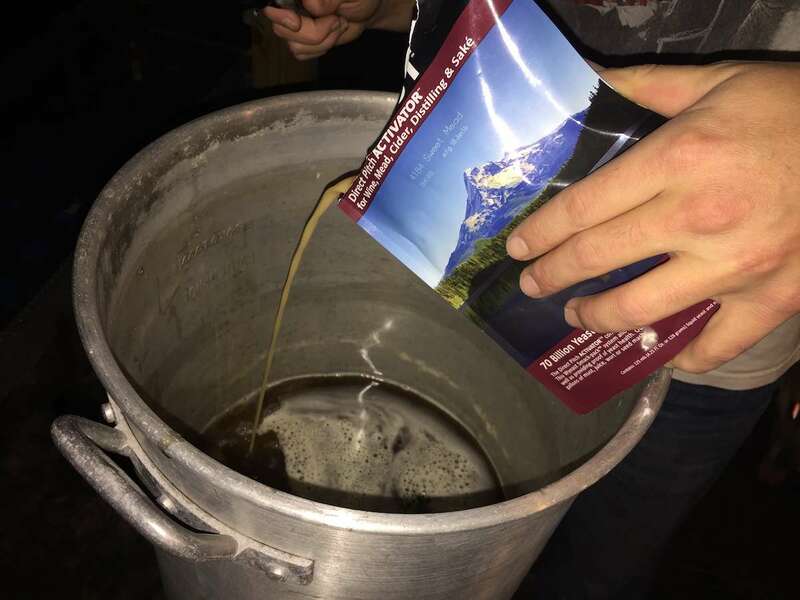 If you MUST heat the must, be sure to let it cool down to a temperature where the yeast can survive (the yeast package will state this temperature range). Mine needed to be cooled down to below 85 degrees. You can use a sanitized thermometer to verify the temperature. After your must has cooled, gently mix your must and yeast to prevent yeast spore genocide. You now have unfermented mead. Use a sanitized funnel to fill your fermenter(s), leaving room in the top of the fermenter so that fermentation can occur without spillover. I'm using two one-gallon carboys and will fill each halfway with mead, but you do not need to leave this much room in your container(s). 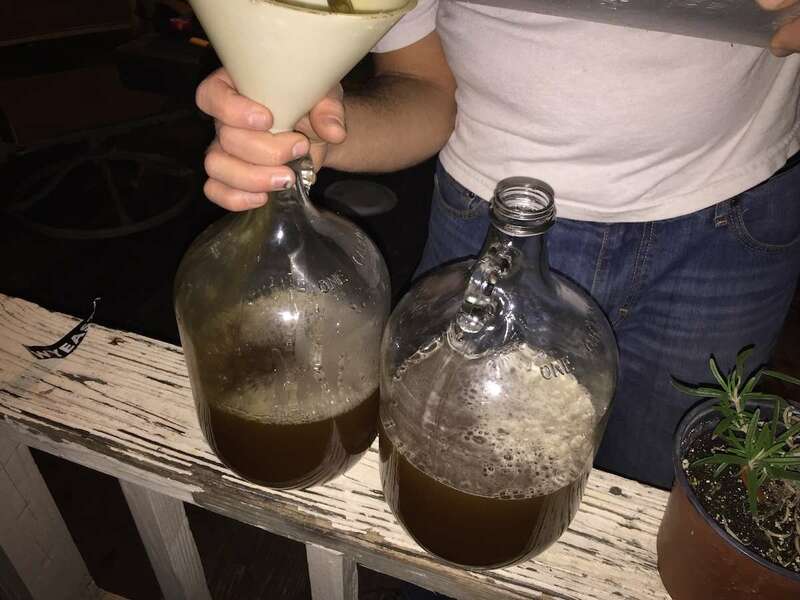 If you don't have any carboys, you can use an old (clean and sanitized) wine bottle, or whatever else you have. Fill your sanitized airlocks with clean drinking water and install them. This will allow gases to escape but prevent bacteria from ruining your brew. 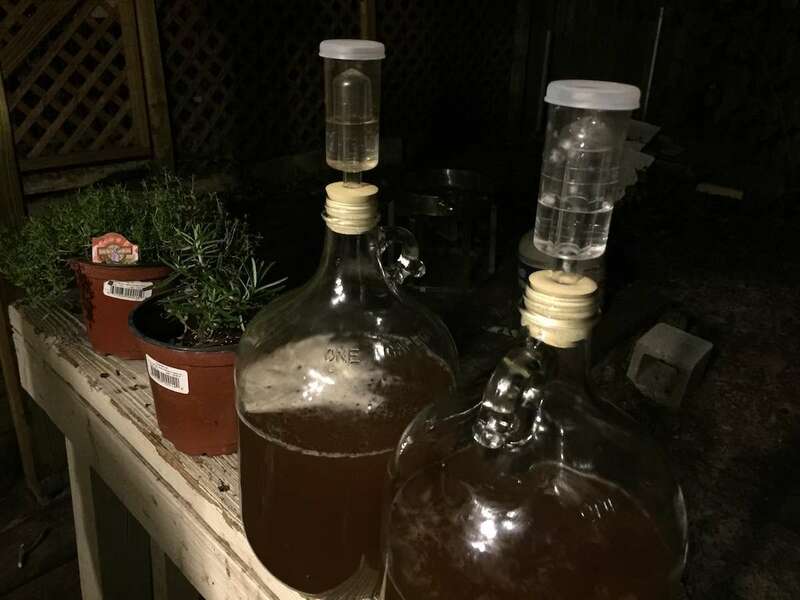 Store your mead in a dry, cool, quiet place according to the yeast that you use. We're using Sweet Mead yeast, which must be stored at 70-75 degrees. 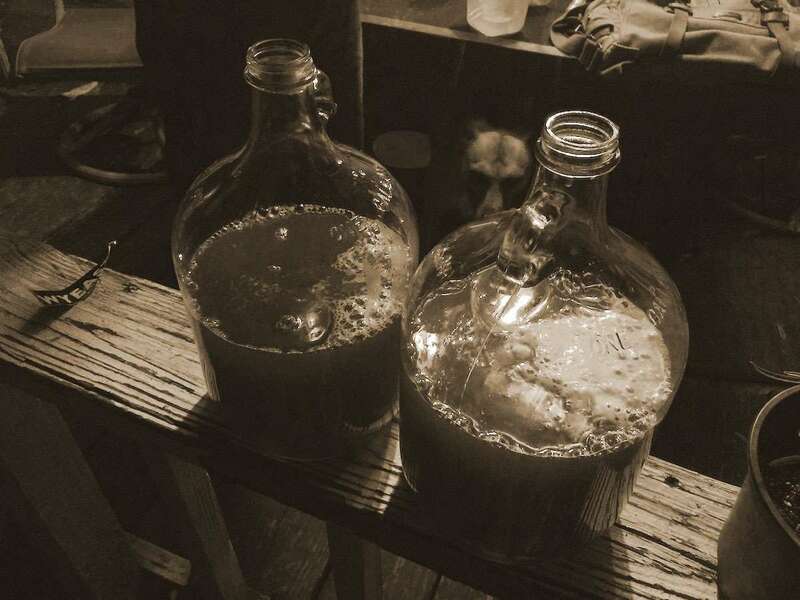 The length of time you store your mead depends on the type of mead yeast you've used and how good you want it to taste! I'm going to store mine for six weeks, drinking one of the bottles, and then store the other for a few more weeks to gauge the difference. Gather your friends and drink all of the mead. I'll add a photo when this happens.